The UK Prime Minister, Theresa May, is seeking to reopen negotiations with the EU in order to renegotiate the agreed terms of the UK’s exit arrangements from the EU (the “Withdrawal Agreement”), following a rejection of the agreement by 230 votes on 15 January 2019; the largest defeat for a sitting government in history. The Withdrawal Agreement, which details the agreed process of how the UK can leave the EU, was rejected on various grounds by MPs, including the issue of the “Northern Irish backstop”; the fallback plan to avoid any return to physical border checks along the Irish border. Following Parliamentary approval on the course of Brexit, with MPs voting on 29 January 2019 in favour of reopening negotiations with the EU in order to replace the Northern Irish backstop, the Prime Minister will now seek to restart negotiations over the backstop with the EU on 7 February 2019. However, the EU’s chief Brexit negotiator, Michel Barnier, has claimed that the EU will not reopen the Withdrawal Agreement but alternatives to the backstop could be assessed after the UK leaves the EU. In the event that the Prime Minister has not brought a revised Withdrawal Agreement to Parliament by 13 February 2019, the Prime Minister will make a statement to MPs regarding the current status of Brexit negotiations with the EU and put forward a motion to give MPs another chance to vote on the course of Brexit. 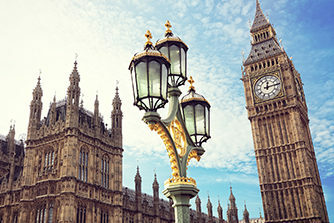 On 1 February 2019, the FCA published a statement on how it would use its temporary transitional powers, the ability to delay or phase in changes to regulatory requirements made under the EU (Withdrawal) Act 2018 for a maximum of two years from the day that the UK leaves the EU (“Exit Day”), in the event that the UK leaves the EU without an agreement. The FCA intends to use these powers to ensure that firms and other regulated entities can generally continue to comply with their regulatory obligations as they did before Exit Day for a temporary period, which will enable firms to adjust to post-exit requirements in an orderly way. The FCA statement sets out areas that it considers would not be consistent with its statutory objectives to grant transitional relief, such as transaction reporting under the MiFID II Directive (2014/65/EU), reporting obligations under EMIR (648/2012), issuer rules, short selling notifications, use of credit ratings and securitisation. The FCA notes that existing transitional arrangements, such as the temporary permissions regime for inbound passporting EEA firms and funds, will continue to operate from Exit Day. Firms and other regulated entities seeking to use these regimes should ensure that they have completed the necessary steps by Exit Day to enter the relevant regime.